We are perplexed!! Is this a Neighbor Jagoff, A Driving Jagoff or another Parking Jagoff???? The answer is, it’s a trifecta Jagoff!!!! This driver fits into all three categories. 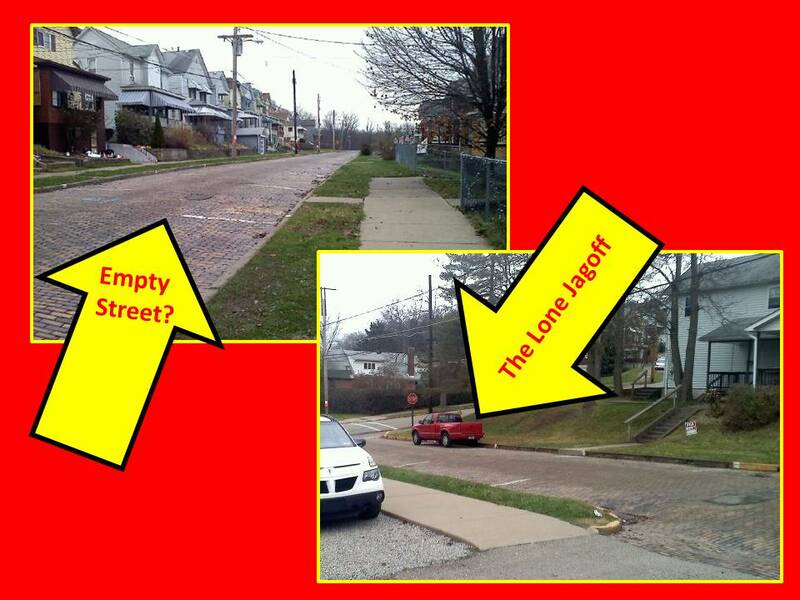 Street prepped for paving and one lone #jagoff that can’t read! #NoParking! So just in case you don’t get it, the street was posted for “No Parking” so that a road crew could come in that day and pave it. Literally, not a car on the street except for THIS guy. Now, even if YOU pulled onto this street, and DIDN’T see the “No Parking” signs, would the totally empty street give you any type of context clue that something was up? Street cleaning? Sewer cleaning? Some type of mid-morning Pitcairn Volunteer Fireman’s Parade? 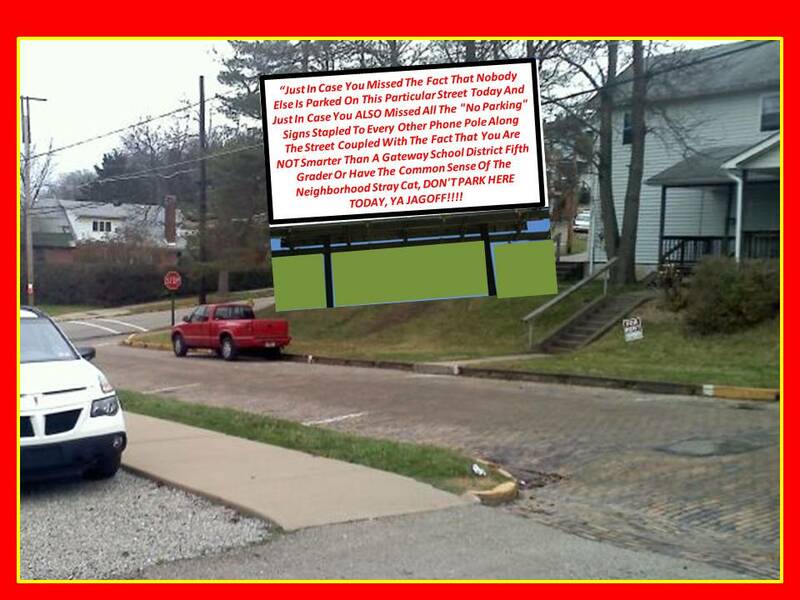 A “Neighborhood Vehicle Eviction Notice” antic from Occupy Pitcairn? Not for this guy! He just looked at it as one day when he didn’t have to parallel park. We were wondering if the guy driving the red truck is “That Guy” who also pulls his vehicle into the middle of a funeral procession or tailgates an ambulance, with it’s siren and lights on, just to take advantage of running stop lights. The greatest thing about this post is that it allows us to leverage one of the more popular new song titles. “Just In Case You Missed The Fact That Nobody Else Is Parked On This Particular Street Today And Just In Case You ALSO Missed All The “No Parking” Signs Stapled To Every Other Phone Pole Along The Entire Street Coupled With The Fact That You Are NOT Smarter Than A Gateway School District Fifth Grader Or Have The Common Sense Of The Neighborhood Stray Cat, DON’T PARK HERE TODAY, YA JAGOFF!!!! 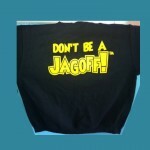 Thanks to Twitter Follower and, now, Honorary Jagoff Catcher, DerrickParady, for this post idea!! Click on the sweatshirt pic below to see our Jagoff Store! Next articleTodd Graham Leaves Pitt – For SOME Unkown Reason Steve Pederson Is STILL There!